The most popular of NEXGEN+ hook patterns, not just because it’s robust and incredibly strong – it’s the most versatile. 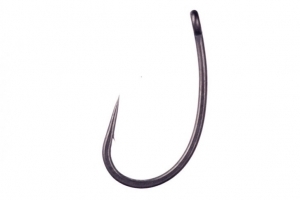 Having both a short shank and a slight bend, this straight point carp hook also has a straight eye which ensures it can be used to create a wealth of presentations. Whether you simply wish to gain a better hook hold when fishing standard hair-rigged bottom or pop-up boilies, or you want to give the Withy Pool rig, a snowman presentation or a KD rig a try, this is the perfect hook pattern to use. It’s available in micro barbed sizes 4, 6, and 8. Sold in packs of 10.